Are Estate Trustee’s open to personal liability for negligence, when handling an Estate? Trustee’s of deceased Estates are subject to numerous duties that they have a legal obligation to carry out including paying the debts of the Estate, gathering in the assets of the Estate and ensuring that the Estate is distributed to the beneficiaries named in the Will in a timely manner. A failure to perform the obligations of an Executor properly can lead to allegations of negligence made by the beneficiaries of the Estate against the Executor. In some circumstances an Executor will be personally liable to the beneficiaries, if they have been negligent in their handling of the Estate. Some common examples of negligence are an Executor improperly benefiting from the assets in the Estate, by appropriating them for themselves and delays in distributing the assets of the deceased Estate. One situation that is becoming more common is an Executor distributing the assets in the Estate to the beneficiaries named in the Will, when the Executor is aware that the Estate is going to be subject to a Will Challenge. This is what happened in a New South Wales Supreme Court case Ernst v Mowbray  NSWSC 1140. In this case the deceased died in 2001 and his last Will was dated 1987 in which he appointed his son and daughter the Executors of his Estate and left them the whole of his Estate in equal shares. The Estate was valued at approximately $200,000. The deceased had been married three times and had two children from his first marriage. The deceased married his third wife in 1983 and was still married to her at the time of his death. 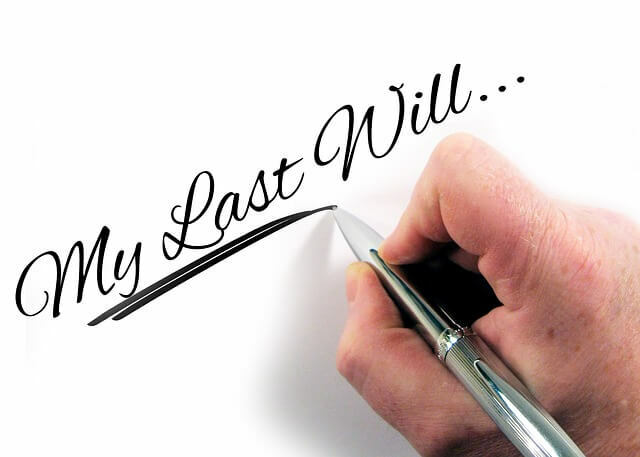 In his Will the deceased stated that he had made no provision for his third wife as he believed that the was adequately provided for in regard to the length of their relationship and her contribution to his assets. The deceased’s children received notice of the third wife’s intention to make a family provision claim however, paying no attention to this claim, they distributed the Estate to themselves with both son and daughter receiving approximately $100,000 each. The deceased’s wife’s family provision claim ultimately failed however the Court did look at the actions of the Executor’s in a premature distribution of the Estate and whether they are personally liable to a successful Will Challenger who suffers loss as a result of an early distribution of the Estate. The Court made it quite clear in their decision that where there has been a premature distribution of an Estate the Court will make an order that the Executors of the Estate personally restore the money they have taken in addition to interest on that money. On this basis, even though the claim by the deceased’s third wife was unsuccessful, the Court did not make the usual Orders that she pay the legal costs of the Estate instead ordering that the Executors pay their own legal costs which were estimated at about $35,000. If you need advice on carrying out your obligations as a Trustee or how to challenge an Executor you believe is acting negligently then you need to seek legal advice from an Expert Wills & Estates Lawyer. You need to speak to the expert lawyers at Heckenberg Lawyers – We specialise in Wills, Probate & Estate Law and pride ourselves on our open and honest communication with clients. Our offices are conveniently located in Sydney CBD and close to public transport. Make an appointment today on 9221 2779 or email info@hecken.com.au.